Points Needed: 2800 Games are not compatible with mobile and tablet devices. Please add this title to your Wish List and sign on to your the first club account from a desktop computer to complete your redemption. NOTICE: Activation key must be used on a valid Steam account, requires internet connection. ABOUT THE GAME	In the final chapter of this acclaimed horror trilogy, Black Mirror III picks up right where the thrilling ending to Black Mirror II left off. Only a short time ago, Darren Michaels was a quiet store clerk in a sleepy New England town. Now in Willow Creek, England, a tormented Darren ba… rely reacts as police handcuffs are closed on his wrists. All the evidence points to him, and the police have arrested Darren as their primary suspect in a fatal crime. He's subjected to extensive questioning, but Darren is numb to the events occurring around him, and has withdrawn into a deep emptiness. Then after several weeks of incarceration, Darren is unexplainably released. But he is not free. Darren remains terrorized by sleepless nights, nightmare-like visions, and the chilling specter of murder and death. Now alone, Darren must continue his search to uncover what has been happening to him and lift the veil on his clouded past. What has he really seen? What do his torturous nightmares really mean? Who is the mysterious person that posted the bail to set him free? What demons lie waiting in the crypt? Return to face the dark forces that haunt the ominous Black Mirror Castle as you search for the secrets that lie behind the tangled web of haunting riddles, mysterious secrets and dark characters. Alternate between two playable characters, as you explore over 100 highly detailed and atmospheric locations; interacting with over 50 characters in your quest for redemption. 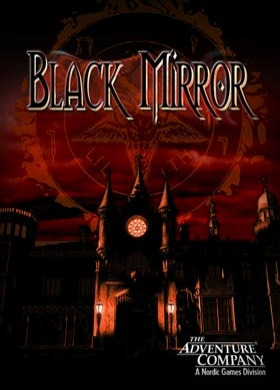 Dare to find the answers in the climactic final chapter of this epic trilogy - for once you gaze into the Black Mirror, you won't be able to look away.KEY FEATURES In the final chapter in this acclaimed horror trilogy, Black Mirror III picks up right where the thrilling ending to Black Mirror II left off. Return to face the dark forces that haunt the ominous Black Mirror Castle as you search for the secrets the lie behind the tangled web of haunting riddles, mysterious secrets and dark characters. Alternate between two playable characters as you explore over 100 highly detailed and atmospheric locations, and interact with over 50 characters in your quest to find redemption.. Dare to find the answers in the climactic final chapter of this epic trilogy - for once you gaze into the Black Mirror, you won't be able to look away!SYSTEM REQUIREMENTS Minimum: OS: Windows XP SP3 Processor: Pentium IV 1.4 GHz or faster Memory: 512 MB RAM Graphics: 128 MB VRAM DirectX: Version 9.0 Hard Drive: 2 GB available space Sound Card: DX 9	© 2014 Nordic Games Licensing AB, Sweden. Published by Nordic Games GmbH, Austria. Developed by Cranberry Production. All other brands, product names and logos are trademarks or registered trademarks of their respective owners. All rights reserved.